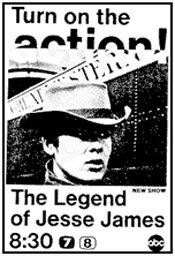 Do You Remember... "The Legend of Jesse James"
“The Legend of Jesse James” would be one of TV’s more forgettable western series were it not for the ever growing cult status of its star, Chris Jones. 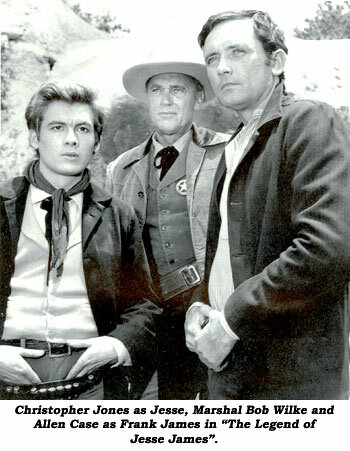 For the 34 episodes between Sept. 13, 1965, and May 9, 1966, producer Don Siegel turned Jesse and Frank James into western Robin Hoods (not unlike big screen versions had often done). But the Monday night ABC black and white half hour series (produced by 20th Century Fox) never had a prayer of success going head to head against the 5th season of “Dr. Kildare” (in color) with the popular Richard Chamberlain on NBC, and the 4th season of “Lucille Ball” (also in color) on CBS. Also, by this time, westerns were beginning to fall from favor on TV. Although well staged and well directed by such experts as Robert Totten, Chris Nyby, Herschel Daugherty and Joe Pevney, the series never found a sustaining audience. 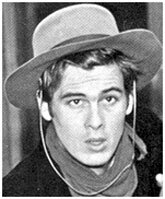 Chris Jones played Jesse, Allen Case (former star of “The Deputy” [‘59-‘61] with Henry Fonda) was brother Frank. 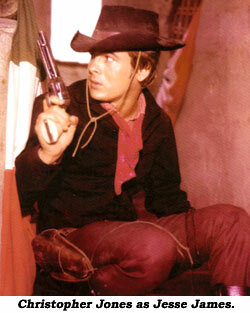 Other recurring roles were played by John Milford as Cole Younger and Tim McIntire (John’s son) as Bob Younger. Bob Wilke was Marshal Sam Corbett who vainly pursued the brothers. Ken Darby wrote the lyrics and Irving Gertz the music for the vapid themesong about “the man with the gold hungry gun.” Darby had done better with “Wyatt Earp” and “Jim Bowie” TV themes. Gertz had composed music for and been musical director of many films, including such westerns as “Gun Belt”, “Top Gun”, “Hell Canyon Outlaws”, “Badman’s Country”, “Hell Bent For Leather” and (coincidentally) “Young Jesse James”. 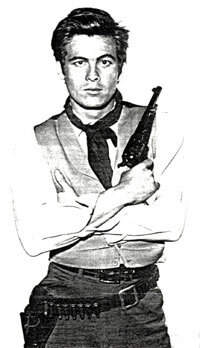 Jones went on to brief fame in ‘60s films like “Chubasco” and “Wild In the Streets”. (See “Whatever Became Of–” below.) His former wife, the late Susan Strasberg, wrote of their embattled, drug-laden marriage in her autobiography, BITTERSWEET. Allen Case later designed a successful line of fur coats for men, worked as a photographer, writer and real estate broker while continuing to act occasionally on “CHiPS”, “Man From Atlantis” etc. While on vacation, he collapsed and died of a heart attack in Truckee, CA, 8/25/86. Three episodes of the elusive series are available from our VideoWest for $35 ppd. Mailing address at the bottom of the page.